Nonprofit public service organizations do not have to be boating-related. Any organization meeting the following qualifications is eligible to apply. It must be a nongovernmental organization. (City, County or State governments or municipalities, for example, are not eligible). It must be accorded a non-profit organization tax-exempt status by the Internal Revenue Service in accordance with 26 U.S.C. 501(c) (3). 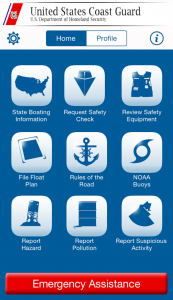 It has the ability to provide public boating safety benefits that are national in scope or dimension. It must demonstrate that its benefits will be effectively extended nationwide, extending beyond a state or region. A national membership base does not suffice. It must be primarily in existence to provide “public service” and serve the general public. Fraternal, lobbying or religious organizations are not eligible.